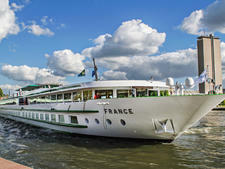 A French, family-run company, CroisiEurope is the largest river cruise line based in Europe. Thirty-five of the line's vessels ply the majority of Europe's rivers and canals and four ships that sail in Vietnam and Cambodia. Two of the line's ships are ocean-going vessels, and Croisi also charters six ships that sail the Irrawaddy in Burma and the Zambezi in Africa, which will be replaced by the CroisiEurope-owned African Dream. Gerard Schmitter founded the company in 1976, and chartered his first river boat, Alsace, in 1979. Initially called Alsace Croisières, in 1986, the line built and launched its first Prestige-class boat, Kellerman, and in 1991 opened offices in Paris. Throughout the 1990's and the first decade of the 21st century, the line underwent rapid expansion, growing its fleet and ultimately changing its name to CroisiEurope as it expanded operations outside the borders of France. In 1999 Gerard Schmitter handed management of the company over to his children, who continue to direct operations. The company celebrated its 30th birthday in 2006, and in 2007 opened a subsidiary company, CroisiMer, to manage its one ocean-going cruise ship, La Belle de l'Adriatique. 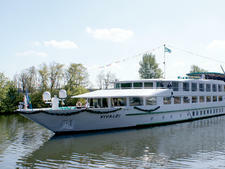 In 2010, the company created the CroisiYacht brand to manage chartered cruises on Russia's Volga River. 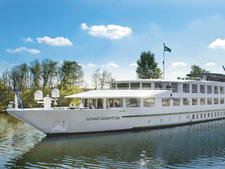 And in 2014, CroisiEurope bought the Mekong River Cruise Company, adding four ships that cruise along the Mekong River. Strasbourg-based CroisiEurope has, as you might expect from a French cruise line, a decidedly French ambience onboard its ships. The company, which will operate 50 vessels in total by the end of 2017, has traditionally done most of the marketing for its value-for-money cruises inside France and internationally. Since 2014, however, the company has begun to market itself directly to the North American audience. French is the primary language spoken (although most of the staff do also speak English and a smattering of other European languages), and announcements are made in French and in English. The food onboard is, by-and-large, French. 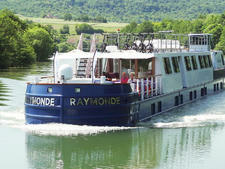 What distinguish CroisiEurope from other river lines are its moderately-priced fares. Like most other Europe river lines, CroisiEurope does include wine, beer and soft drinks with lunch and dinner year-round and offers unlimited drinks (including house spirits) during the high season from April to October. It also has a dual inclusion policy, where US passengers receive shore excursions included in their price. European passengers and those from other countries can either choose to buy their cruise with or without the shore excursions. The 2017 cruise season marked the introduction of a new excursion package. Beyond the traditional "Classic" excursions, passengers can book a "Discovery" excursion package designed to offer out-of-the-ordinary experiences while on shore. These include hikes through famed vineyards, helicopter rides or safari-style visits by jeep of national parks. Discovery excursions must be booked in advance when passengers buy their cruise. As part of the line's focus on the value-for-money cruise experience, food and wine onboard is consistently good, and the itinerary options are varied. Cabins sizes are generally comparable to other European river cruise ships, though the newer ships in the fleet have a more modern and contemporary design. In addition to a main dining room, public spaces onboard most ships include a couple of indoor lounge spaces for recreation and entertainment. Typically, the lounge bar is the spot for evening entertainment, which ranges from traditional regional entertainment to crew shows to music from the resident musician. The mezzanine or reception area has a small shop. On the outdoor-carpeted top deck, you'll find a canopy and a number of deck chairs for use on sunny days. As noted, the majority of Croisi's clientele is European, with a large percentage of passengers being French. Since the line began marketing itself directly to the North American market, the number of English-speaking passengers has increased to roughly 20% of total passengers. These cruisers primarily come from the US, Canada, Australia and the UK, but the line's reasonable prices attract customers from the around the world, as well. In 2017, CroisiEurope launched dedicated Spanish-language departures on some of their most popular itineraries. These Spanish departures allow Hispanic couples, families and groups of friends to fully enjoy cruising in Europe knowing that information, menus and guided excursions will be readily available in Spanish. CroisiEurope will have 50 ships in their fleet, comprised mostly of small hotel barges and larger river cruise ships in Europe, as well as river ships in southeast Asia. The line has two ocean-going cruise ships: the 2,870-ton, 200-passenger ocean-going cruise ship La Belle de l'Adriatique (acquired in 2007) and the tiny, 8-passenger Galateia (acquired in 2009). Additionally, CroisiEurope has six chartered river cruise ships -- four in Russia on the Volga, one in Burma and one in Africa, which will be replaced by the CroisiEurope-owned African Dream. CroisiEurope's European river cruise ships all have a capacity between 80 to 190 passengers, navigating on most of the region's rivers. 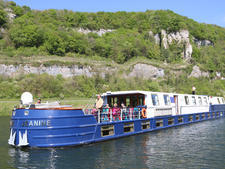 The line also has a number of smaller, 22-passenger barges to cruise within France's network of canals. The company has designed some of its European river ships as lower-draft paddlewheels, which allows them to sail some itineraries such as France's Loire River and Germany's Elbe River that frequently have low water levels.